Ticonderoga, New York, October 10, 2017 – James Cawley is thrilled to announce a visit by Captain Kirk himself, William Shatner, on May 4th and 5th. William Shatner will be available for autographs, photo ops, a unique Meet and Greet event, and a Q & A. This incredibly rare and unprecedented opportunity will allow fans to see the Captain on his starship once again. Come see the first Captain boldly go. Join us in saying, “Captain on the bridge!” once again! Mr. Shatner is NOT leading tours! Mr. Shatner will attend the “Journey to Babel” events. We do not mail out tickets. Instead, when you arrive, check in, and you will be issued a wristband to wear for the duration of the event. Please stay tuned to our website for more information and updates. We are so glad you will be joining us for this event, and we are looking forward to seeing you then!! Ticket purchases are non-refundable. Purchasing a ticket reserves your place in the event and prevents others from attending. We regret the inconvenience this may cause. Restricted group – only 25 tickets will be sold for this session. A forty-five minute exclusive Q&A with Mr. William Shatner on the Bridge set at Star Trek The Original Series Set Tour. An autograph from William Shatner. A photograph with William Shatner. Join us as an Ambassador at the Journey to Babel reception style Meet and Greet, where William Shatner is the guest of honor. Wander the sets at your leisure, and you may even bump into the Captain himself. It’s your chance to meet the Captain on the U.S.S. Enterprise, and explore the ship with him. a photo op with William Shatner. a Live on Stage with William Shatner ticket. a Journey to Babel Meet and Greet. a tour – fans can take a regular tour on Saturday beginning at 12:30 PM until regular tours close for the day. and an autograph from William Shatner. opportunity to see William Shatner. Upon arrival, please check in. You will receive a wristband to wear for the duration of the event. The wristbands serve as your entry ticket. Please refer to this schedule as there may be changes or updates. Thank you!! and a new tab will open with your PDF file. Insider tours (special ticket required) tours as shown below. Captain on the Bridge with William Shatner Weekend Begins!!!! 5:00 PM CHECK-IN – First Round Meet and Greet Check-in begins in front of the studio. First Round Ambassadors and Captains can pick up their wristbands at this time. 9:30 AM CHECK-IN – Second Round Meet and Greet check-in. Second Round Ambassadors and Captains can pick up their wristbands at this time. 10:30 AM Second Round Ambassador and Captain’s Journey to Babel Meet and Greet. Second Round Ambassador and Captain’s autographs and photos at this time. 10:30 AM until 2:00 PM CHECK-IN – Shore Leave and Red Shirts check-in. Shore Leave and Red Shirts pick up their wristbands. 12:30 PM Shore Leave and Red Shirt Tours Begin! All Ambassadors and all Captains Gold tickets can take their regular tour at this time as well. All ticket holders please follow queuing instructions. Thank you!!! 1:15 PM Autographs for Shore Leave and Red Shirt Tickets Begin! Insider Moonlight tours (special ticket required) tours as shown below. 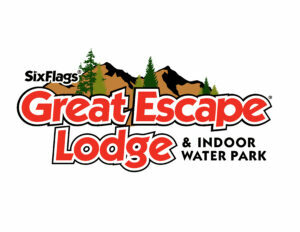 Our friends at Six Flags Great escape have offered us an amazing deal on rooms for the dates of May 3, 4 and 5! These rates are room only and do not include the indoor water park (it will be closed). To book a room guests can go online at sixflagsgreatescapelodge.com or call our reservations department at 518-824-6060. You will need to mention code TREK.